There does exist a normal blood test glucose level, and our professionals can provide more information about appropriate levels. Keep in mind that eating and fasting do affect the reading of a test’s results. When your blood test glucose level is lower than normal, you may hypoglycemia, or “insulin reaction.” If the amount of glucose in your blood is at or over a normal level, you most likely have diabetes. Your blood test glucose level is what determines whether or not you have diabetes or hypoglycemia. Diabetes is a disorder in how the body processes digested food. Most food is broken down into glucose, the name for sugar in the blood. Glucose is the main source of fuel for the body. When the insulin in your body is out of balance to help process the sugar, your blood test’s glucose level is higher or lower than normal. 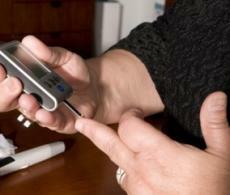 Your blood test glucose level is normally diagnosed using one of three common tests. Depending on your medical history, your FastMed medical team may suggest one of these three common tests: The Fasting Plasma Glucose, Oral Glucose Tolerance Test or the Random Plasma Glucose Test. For each of these tests, a baseline blood sample is taken. For the fasting test, patients normally come by in the morning, without eating breakfast. The blood test glucose level will show whether or not you have too little or too much sugar in your blood. Prediabetes can also be identified, which is when your blood sugar is higher than normal but not as high as a diabetic. For the other tests, your blood test glucose level will be tested multiple times. For the Oral Glucose test, you also don’t eat prior to testing, but after your initial blood sample, you may drink a very sugary beverage. Throughout the following 2 to 3 hours, blood samples will be taken to see how you are processing the glucose. The Random Plasma test isn’t concerned about whether or not you’ve eaten, but you will need to provide blood samples several times in the day.